VisionArts Eyecare Center offers a wide selection of contact lenses including disposable soft contact, bifocal/multifocal, toric, and colored lenses. Whether you wear daily, weekly or monthly disposables, or conventional (vial) lenses, check out our selection of lenses that fit your needs. 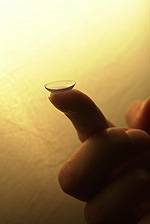 VisionArts Eyecare Center carries all of the top contact lens brands!